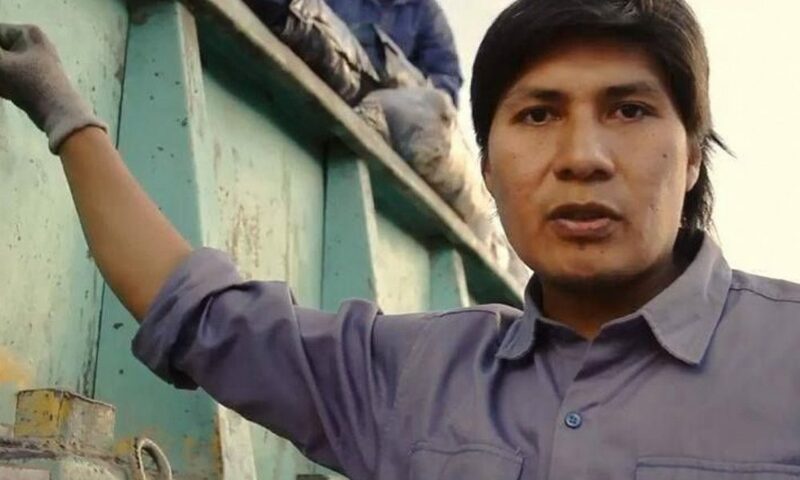 Left Voice interviewed Alejandro Vilca, a garbage collector, socialist and legislator in the province of Jujuy, Argentina. In last year’s elections, Vilca received an astonishing 18 percent of the vote, the highest total ever for the far left in the province. After more than a decade of working on a garbage truck, Vilca now speaks for the working class and indigenous community in the provincial congress. What was your everyday life like a few months ago? I had the normal daily routine of a worker. Every morning at 4:30 a.m. I met with three to four other workers from my team and we drove a garbage truck through Alto Comadero, a poor neighborhood of around 90,000 residents outside Jujuy. At 1 or 2 p.m. we had our lunch break and after that we usually had to continue working until 6 or 7 p.m. The work was very physically demanding. We have to stack the garbage bags on top of the truck – kind of like Tetris. Sometimes a mountain of trash falls down on top of a worker. The city has modern compactors, but they get stuck on the dirt roads so we have to take normal trucks. We’re dealing with poisons and germs – shards of glass are particularly bad. It’s the lowest kind of work and nobody wants to do it. Some of my colleagues, for example, cannot read or write. So why did you do this job? I had studied architecture but didn’t finish my degree. I worked as a draftsman for the city of Jujuy. But I was an informal worker without a real contract. Outsourced workers – from the public sector and private companies – founded a coordination committee to demand permanent employment. After a big struggle we all got permanent contracts but the bosses wanted to punish us for that. About ten of us from the committee were transferred to the garbage department. Alto Comadero can be dangerous, especially in the early morning. We didn’t get any protective clothing or gloves for this work. After my first days on the job, I was dead tired. When I got home, I couldn’t shower, I couldn’t even talk. But you grow stronger and also develop antibodies. After less than two weeks we had organized our first strike. That enabled us to achieve many improvements over the last ten years. 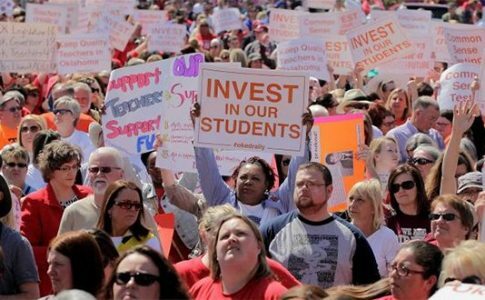 How did the union deal with these strikes? AV: The leadership didn’t like these struggles. 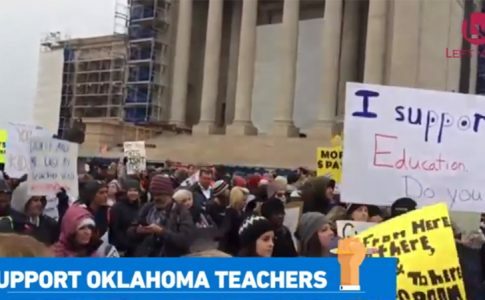 “Why are you on strike? You’ve only just begun.” In 2015, I was even expelled from the union. And what did you earn for this work? AV: My life was very modest. I earned about 20,000 pesos a month ($800), which is not a bad salary in Jujuy. But I had to work myself to death. At least we developed good relationships with our neighbors. Even the dogs knew us and waited for us in the morning as we came to get the trash. How did you become a member of Congress? 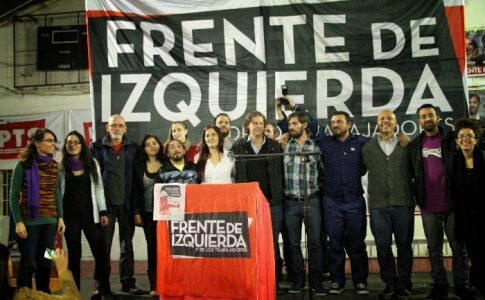 In October of last year, the Workers’ Left Front (FIT) won 18 percent of the vote [in Jujuy]. Nationwide, the FIT received just over 5 percent. Jujuy was special. Here we were just one point behind the Peronists, who had governed the province for decades. 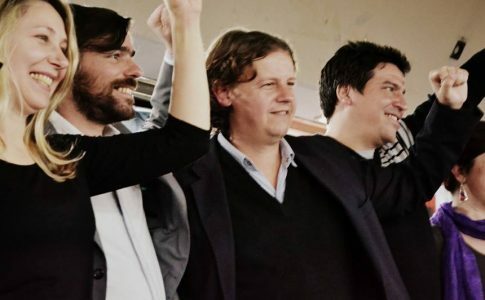 Now we have four of the 48 members of Jujuy’s provincial congress. But our reputation in the city didn’t come from the election campaign. We were already well-known from years of class struggle. How is your daily life now as a member of Congress? Representatives from the bourgeois parties usually only come in for the official sessions – once every two weeks or so. We are here whenever the office workers are here, i.e. on weekdays from 7 a.m. to 1 p.m. Workers or indigenous farmers come to us to talk about their problems and struggles. There are always conflicts. At every strike, I march in front with our banner. For example, 338 workers were laid off at the Esperanza sugar refinery [Ed. note: Sugar is one of the most important products in the Northwest.] The government is directly responsible because the refinery has been under state administration since a bankruptcy last year. The state ordered these layoffs, allegedly to make the company profitable. In congress we made an inquiry about this – and at the same time we donated 200,000 pesos (8,000 euros) from our salaries to the strike fund. How high are the salaries of members of congress? The starting salary for a member of congress is around 100,000 pesos ($5,000) per month. The Argentine government is currently promoting austerity: pensions are being cut in order to reduce the deficit. Representatives from the FIT only take home the wage we previously earned as workers — about one fifth of our total salary. The rest goes into a solidarity fund for workers’ struggles. You identify as an indigenous person. What is the importance of the indigenous questions in Argentine politics? AV: Up to 80 percent of the people in Jujuy have indigenous roots. But the majority of the members of congress are white. The whole province belongs to a few families. The government and the Supreme Court function like a monarchy. Indigenous workers like me had never been inside congress before. That’s why working people were so excited to see one of us getting elected. A local supporter made a song for the campaign, “Trabajadores al poder” (Workers to power). Some people claim that we Trotskyists are all students. But here we’re showing that we can lead the poorest sectors of the working class. The FIT is an electoral alliance made up of three Trotskyist parties. How would you explain Trotskyism? Trotskyism is the far left. We fight for the self-organization of the workers. Our perspective is a workers’ government. That’s how I would summarize it. 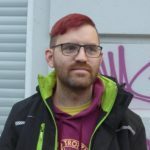 Alejandro Vilca is a leading member of the Partido de los Trabajadores Socialistas (Socialist Workers’ Party), the Argentine section of the Trotskyist Fraction for the Fourth International (FT-CI).